A belated Christmas and Happy New Year to you all. This past Christmas holiday we discovered Netflix. To be honest, I've never been a fan of streaming services, but for only £5.99 a month, we were able to escape the dreadful fodder put out by the terrestrial television services. The film catalogue isn't expansive, but it was still enough to get us through, but what we did find awesome was the number of TV series on it that we use to catch up. 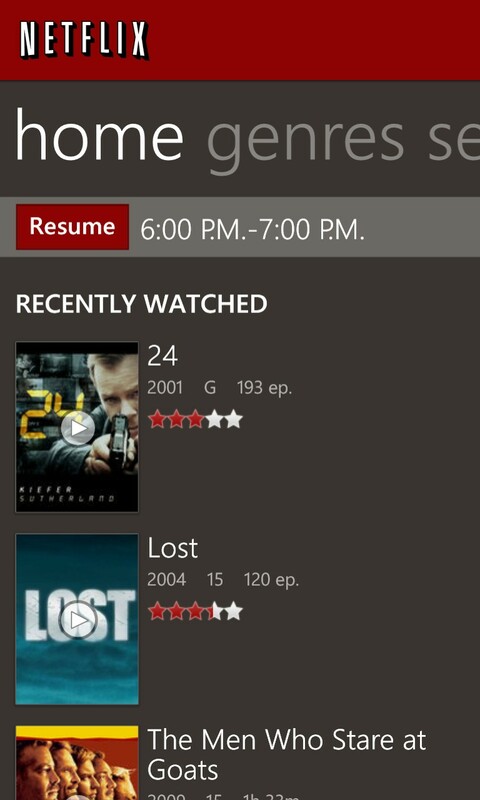 As someone who could never get past the second season of Lost, this allowed me to catch up. In fact I might just finally be able to get through the entire series after all. Newer series are missing, but big hitters like Dexter, 24, Californication, Weeds and Firefly are all on it. Also, old classics like MacGyver and Knight Rider, which will surely win us old timers. Rather surprisingly, despite the low price, there were a number of newer films on the service as well. The Woman in Black, Warrior and the ridiculously stylish Drive appeared to be popular films on Netflix. Still, it's primary strength appears to be a mixture of quality rather than quantity. You wouldn't find big new blockbusters on Netflix, but combined with Amazon's LoveFilm, the two services together do make an effective argument against the monopoly that is Sky. I am however surprised by the complete lack of any good or well known children's movie, particularly that time of the year. I would have assumed that Netflix could have negotiated with a couple of studios for a short term license during the Christmas period. It is rather odd considering there is a kid's specific section on Netflix (this isn't supported on mobile apps). I know Disney doesn't like to whore out their classic titles, but it is still disappointing. 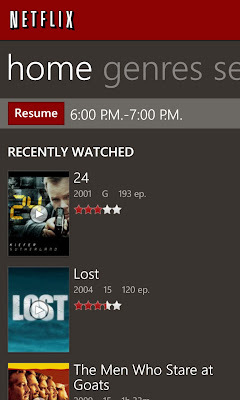 The interface shared by both the PS3 and Android app are simple and similar (the Windows Phone app follows the Metro design language), but the discovery process leaves much to be desired. There is a search functionality built in, but it isn't particularly effective. All apps support resume and subtitles (where available). It is a stream only service, so you can't download and watch later, but for £5.99 I won't complain much. However it does put a damper on the ability to stream shows on train journeys that takes us through areas with patchy mobile network coverage. I have never been a particular fan of stream only services due to UK's archaic internet network, but I can't fault its conveniences. On a technical side, films are streamed in either 480p, 720p or 1080p depending on bandwidth and device and up to 5.1 surround sound depending on availability. From the quality I have been getting on both the Lumia 920 and my PS3, the image quality appears to sit well above DVD but well below Blu-Ray. Services like Netflix is no where near replacing disc-based media in terms of pure quality just yet, but it is fine for casual viewing for those keen on lightening their collection. The future is streaming, that much is certain. But it's not a complete replacement, at least not until our internet infrastructure improves vastly and film studios change the way they handle distribution of new movies. 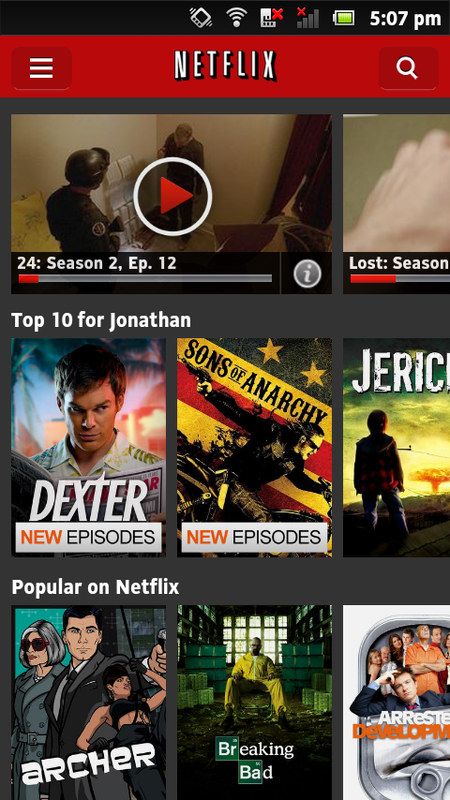 In the meantime, for £5.99, Netflix is still a pretty big win for casual TV viewers.